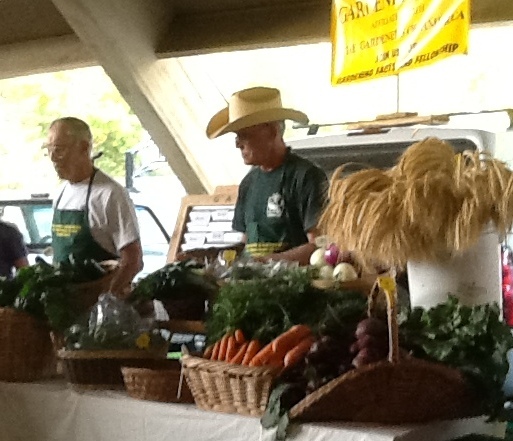 August and September are the months for me to focus on a project called The FarmerChef Project. It all started here on our little blog when Francine was living with us prior to her big move. You can follow along with the farmerchef project by clicking on our icon which will take you to the pinterest page. 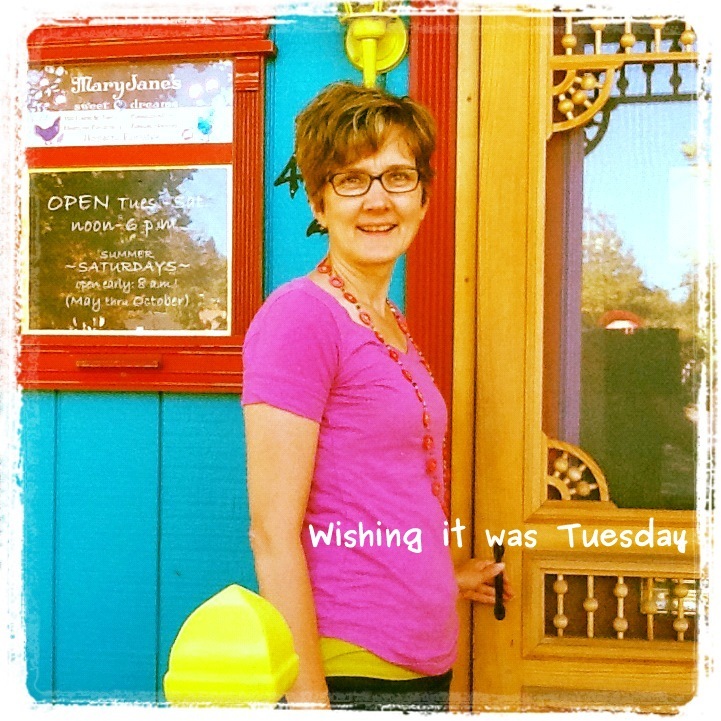 Today I re-read a recipe from a fellow Minnesota blogger, Carole Jones. I love to see what’s happening in Carole’s busy household at My Kitchen Escapades. A recipe called, Oatmeal Raisin Breakfast Cookie caught my attention because these “cookies” have no sugar, no eggs, and no flour. Carole credits Kumguat blog with the original recipe. It is fun to see how she adapted it. When I read the recipe I wondered what would happen if I used Omega Maiden Camelina Oil. Regular readers know that I am a fan of this healthy organic oil grown by our neighbors here in Southwest Minnesota. Preheat oven to 350 degrees and spray a large cookie sheet lightly with nonstick spray. Combine all the dry ingredients in a large bowl then add all the wet ingredients. 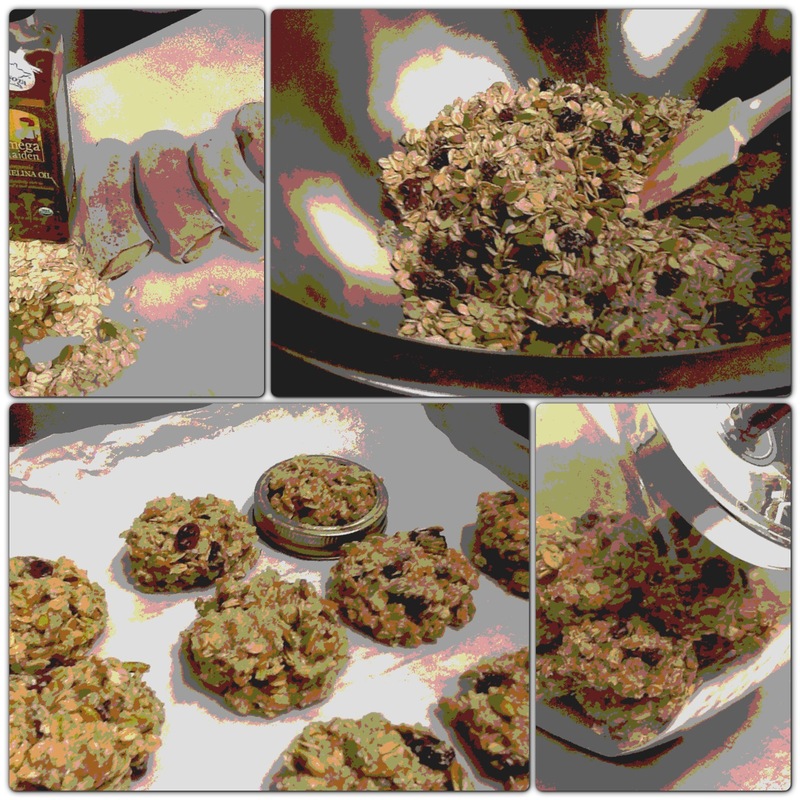 Press about 2 rounded tablespoons of the mixture into a mason jar ring to form the cookie. Remove the ring and form the next cookie. It seems to work to place them close together because they do not spread. Bake for 25 minutes then cool completely on the pan. This is a very adaptable recipe….How many healthy ingredients and locally grown ingredients can be added? If you adapt it please let me know. Steve and I jumped at the chance to help Luke drive to Missoula, Montana. We arrived early Sunday morning after an all night drive from Minnesota. We arrived just in time for brunch at a busy breakfast place, Catalyst Cafe, which satisfied my craving for a cute cafe. Luke’s week long photography class, the reason for our trip out to Montana, was just down the street so he arrived (slightly) refreshed after a night on the road. Before hitting the road again, this time to visit my cousin in Coeur d’Alene, we visited a farmers’ market a few blocks away. The weather was lovely and the colors vibrant. On Sunday evening Steve and my cousin, Susan, bonded over preparing the evening meal. They put together a wonderful steak salad that Susan had seen in this month’s Sunset Magazine. In the end, we sat back and enjoyed a congenial conversation and a sunset meal with Susan’s husband and their friends. Susan told us about a place near Spokane called Green Bluff. She explained that Green Bluff is an area with more than a dozen farms that to visit. After touring a few farms, we checked out beautiful Manito Park, just south of downtown Spokane and enjoyed lunch on the patio of Rockwood Bakery. I really liked the feel of the Rockwood Bakery which is tucked into a little neighborhood only a few blocks from the park. We had so much energy about being in the northwest again, we got the bright idea to go to Moscow, Idaho. Since we grew up in Idaho, we’d traveled there for college visits during high school. On the way to Moscow, I remembered that Mary Jane Butters, who started MaryJanesFarm and the whole farmgirl craze was from the area. A few clicks on our mobile device;) and we found the address of her original retail store. Unfortunately, I wasn’t able to go inside because they are closed on Mondays. 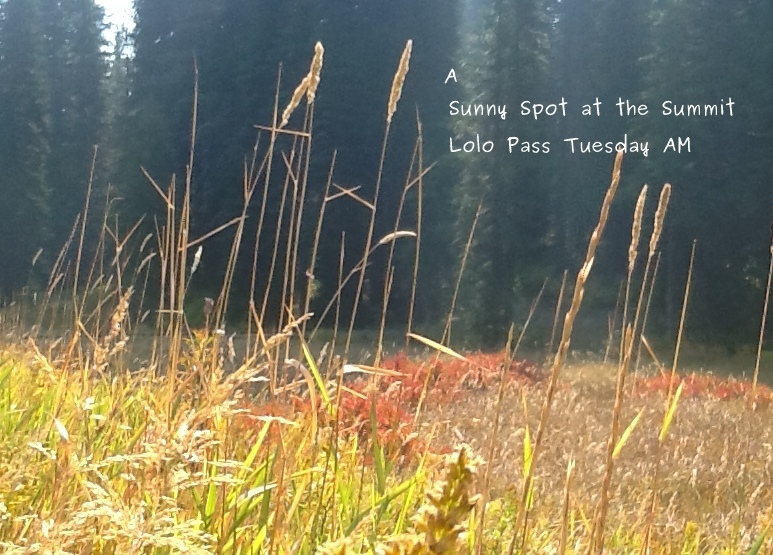 Tuesday we traveled back to Missoula through Lolo Pass, an area of importance in the Lewis and Clark expedition…we read a plethora of historical markers to refresh our knowledge of United States history. Onward we traveled to a town near Bozeman. There we met an industrious farmer named Gary who is doing some amazing things to provide people with gluten-free oats. (I will write more about gluten-free oats in an upcoming post.) Truly gluten-free oats are very difficult to find in the US! But we think we’ve found some that will work for one of the breads Steve is busy developing. We ended the evening at another farmers’ market in Bozeman. There we w atched as people gathered around an outdoor wood fired pizza oven and we saw a cowboy farmer selling produce. The next two days were equally busy with new beautiful vistas and more historical sights. We saw old mining towns, lovely streams and the sight were Lewis and Clark had to portage around the Great Falls. Now we are relaxing in a cozy little studio apartment and getting rested for our drive home. Have you ever been to Montana, Idaho or Washington? Do you have any fall road trips planned?